A bill of materials (bill of material or BOM) is a list of sub-assemblies, parts and the quantities of each needed to manufacture an end product. All manufacturers start by creating a bill of materials (BOM). Several departments (engineering, manufacturing, purchasing, and more) add to and consume the data contained within the BOM. Typical additions to the BOM include stock/non-stock categorization, supplier information, costing information, materials information, inventory tracking and many more. Top – This lists the top or the first level of components in the assembly. It displays the components directly needed to make the assembly or sub-assembly. Part – This option lists all the parts and the quantities required for each part. Assembly – This option lists the sub-assemblies in the assembly. The exported BOM CSV from Glovius contains the part/sub-assembly names and quantity. In the next release, we will add attributes like part number, unit of measure, description etc. BOM export feature is available with all Glovius CAD viewers including CATIA V5, STEP/IGES and JT. For a free 7-day trial, please visit the downloads page. Write to me at sid@glovius.com with your feedback and suggestions! Your tool seem really interesting, but I would like to export more informations from the BOM into the CSV file, like for example : the volumes and the surfaces of each single part. Do you think there is a solution to do this operation with one of your tools ? Tanks a lot for your reply. Thanks for your interest in Glovius. In the next release, we are adding attributes export to the CSV file. Adding Volume, Surface information is a great idea. We will consider this in the next release, version 3.7. Due late March. Please do write to us at support@glovius.com with your feedback and suggestions. Thank you so much for your fast reply ! I will then transfer my suggestion at your support service. Hellow. Your system very interest. Is enable to modify user interface? Is enable to integrated the another window application platform? is it possible to export BOM with user metadata, that are saved in SolidWorks parts or assemblies? 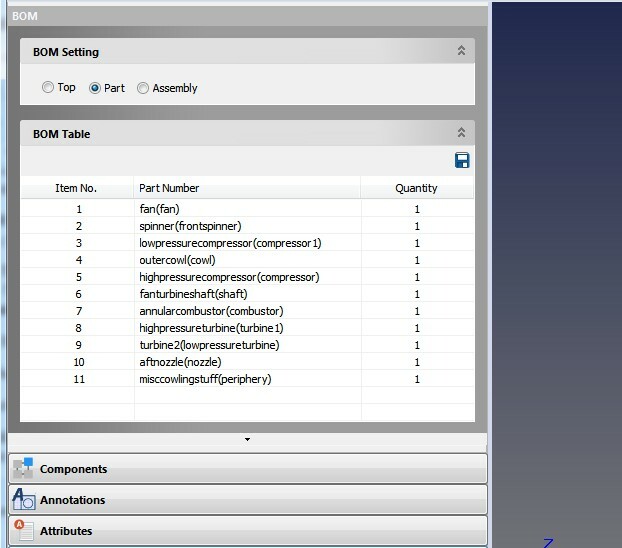 Yes you can export BoM with attributes and metadata stored in the assemblies. Use the CSV format to get the BoM report with all this information.